Verizon MVNO Selectel Wireless notified their dealers today that effective immediately, they can no longer activate non-Verizon phones. Up until now Selectel had been able to activate virtually any Sprint, US Cellular, MetroPCS or other CDMA phone. Non-Verizon phones had to be "flashed" (reprogrammed) in order to actually work on the Verizon network. Selected itself didn't flash phones but many independent mobile dealers and online flashing services did for around $40 and up. Selectel says the non-Verizon phone ban is a result of a Verizon policy change that will eventually effect all Verizon MVNOs. Page Plus Cellular, a much larger Verizon MVNO, is still accepting non-Verizon phones at the moment. Selectel told their dealers that the ban will hit Page Plus July 29 but there is no confirmation of this from Page Plus. If you currently have a non-Verizon phone active on Selectel, I believe that it will continue to work as long as you don't do anything to the account that would cause a deactivation like putting a different phone on the account. At least that's what happened when Verizon began blocking their prepaid phones from being activated on MVNOs several years ago. Prepaid phones activated before the ban still work as long as they have been continuously active on the same Page Plus number. It's kind on ironic that Selectel got hit with the ban on non-Verizon devices first. 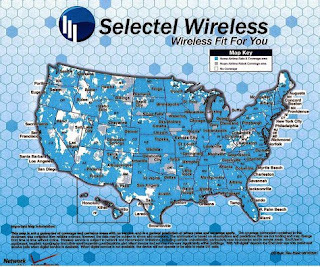 Back in May, Selectel told its dealers that Verizon would block other MVNOs from activating non-Verizon phones beginning June 24, but that the banned devices would still be allowed to activate on Selectel because it used the postpaid Verizon network. Didn't Verizon win some 700 mhz spectrum with open devices provision? How can they ban devices then? Verizon policy is that non-Verizon devices are welcome but that they must go through Verizon certification of compatibility with its network. Nobody has been willing to pay for and go though the certification process. The open access requirement protocol only applies to 4G LTE devices. It does not apply to CDMA-only devices. The reason is that CDMA-only phones do not use C-Block (700 MHz) spectrum. Verizon has a page athttps://opennetwork.verizonwireless.com/devicesShowcase.aspx showcasing over 500 devices it's certified under the open development initiative. Most are M2M devices for tracking shipments and vehicles, monitoring industrial processes etc., none are phones. Ironically, only 12 support LTE. Verizon is just a bad company in all regards once they got so big and arrogant: towards customers and towards their workers in wireless, FIOS, and Internet. Also arrogant towards services such as Netflix. It just means Selectel elected to implement LTE right away and this is a Verizon prerequisite to doing so. Maybe but there's no sign of LTE on Selectel yet. "It's kind on ironic that Selectel got hit with the ban on non-Verizon devices first." Ironic, and maybe payback from Vzw post-buyout (Vodaphone). Vzw was probably not happy about the Selectel deal with Verizon Communications. Is Page Plus Cellular next ? And if so when ? Yes it is. On July 29. Read the article above. Verizon makes so much money and they still make it so hard for others. Just like Att. No wonder that have the fewest MVNO's. That's why I will never give my money to them or their MVNO's, they are just greedy pigs. A business makes money. That's what they do and that's how they stay in business. If they didn't there would be no jobs. Their product is superior and that's why people pay more for it. Its not greed. I agree, but they sure do have a huge network! Verizon spent billions building out their 4G LTE network. So they have every right to make as much money as possible off of that investment. Not sure why prepaid customers feel Verizon owes them cheap LTE data. They don't. Verizon has a duty to their shareholders to make as much money as possible. Sprint also spent a ton of money expanding their network earlier this year, but I've seen no sign of improvement in their signal. Perhaps they chose to put their new towers all underground. If you are talking about this site in Firefox usr Ctrl-R to reload the page if you get the dark background. It occurs when the page doesn't load completely. I'm working on a fix but in the meantime a reload usually takes care of it. Verizon MVNOs can only activate Verizon phones but not Verizon Prepaid brand phones. Sprint MVNOs can only activate Sprint phones but not Boost and Virgin Mobile brand phones. Verizon and Sprint MVNOs can't activate Tracfone, NET10 and Straight Talk phones. Unless you really need Verizon coverage (and AT&T is almost as good) there doesn't seem to be much reason to choose a Verizon or Sprint MVNO over a GSM MVNO. It's easy to get new phones for GSM MVNOs. But other than buying a phone from a Verizon or Sprint MVNO there doesn't seem to be any way to use a new phone on Verizon or Sprint MVNOs.
" Page Plus Cellular, a much larger Verizon MVNO, is still accepting Verizon phones at the moment"
Does this mean that PPC will STOP accepting Verizon phones???
" at the moment". How long will that last for PPC. I wonder if this means that PagePlus will get access to 4G soon after July 29th? I use to do ESN changes and activation for Alltel (years ago) and from a technical aspect it makes perfect sense to make a one policy fits all devices verses rules that change for this and that. It also makes it easier for Verizon to determine rather the phone is clean or has been turned off for non pay. What do you think do you believe that we can expect 4G phones on PagePlus very soon? If so I'm game for that.